Be the first to share your favorite memory, photo or story of Linda. This memorial page is dedicated for family, friends and future generations to celebrate the life of their loved one. 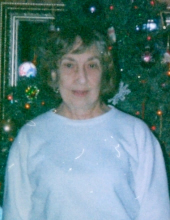 Linda Hunt, age 74 of Princeton passed away on Wednesday, April 10, 2019 at Caldwell Medical Center. She was a homemaker, member of Second Baptist Church and loved her grandchildren. Survivors include her husband of 47 years, Elias Edward Hunt, two daughters, Cathy Ann Jackson of Eddyville, Susan Page Jackson of Princeton; one sister, Vicky Parrent & husband, Mike of Princeton; one brother, Mike Murphy & wife, Lori of Dexter, MO; three grandchildren, Austin Oliver, Taylor Page, Annslee Jackson; two great grandchild, Karsin Oliver and Kyler Oliver. She was preceded in death by her parents, Emmett Vinson Murphy and Katherine Winna Dunning Murphy. Visitation will be held on Friday, April 12, 2019 from 4:00 PM to 8:00 PM at Morgan's Funeral Home. Funeral services will be held on Saturday, April 13 at 1:00 PM at Morgan's Funeral Home with Bro. Doug Anderson officiating. Burial to follow in the Cedar Hill cemetery in Princeton, KY.
To send flowers or a remembrance gift to the family of Linda Hunt, please visit our Tribute Store. "Email Address" would like to share the life celebration of Linda Hunt. Click on the "link" to go to share a favorite memory or leave a condolence message for the family.